Welcome to Harrison High School Clinic. We support our students by providing immediate assessment and first aid for injuries and illnesses that occur at school. 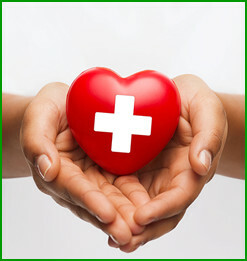 We also refer students and their parents when they require more specialized medical attention. Please visit the Cobb County School District School Health Services website for answers to other questions about medications and healthcare at school. A student who becomes ill during the school day should report to the clinic. We assess the severity of the injury or illness, and if necessary contact a parent. If possible, students should take prescription medications at home. Students may carry EpiPens, inhalers, or diabetic supplies for their medical condition and keep all other prescription medications in the clinic. Parents must submit authorization forms to the clinic before students can carry medications or receive them from the clinic. Please read the message from your school nurse concerning clinic guidelines. You can help our clinic by making a donation. We greatly appreciate your support. We always need Band-Aids, hand sanitizer, disinfectant wipes, Ziploc baggies, small cups, crackers, and juice. If you are able to make a donation, please deliver them to the clinic or send the donation to school with your student. Thanks for your help! If you have questions or concerns, please contact our school nurse. She’s happy to answer your health questions.